WSU Extension, in partnership with the Clark County Health Department, provides food safety training for food service employees beyond the basic heath card testing. WSU Extension offers a Person In Charge training. Learn more about the PIC classes here. Access information about local health card testing. 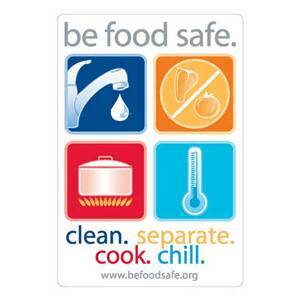 View or download Food Safety Fact Sheets on various topics. Visit Frequently Asked Questions link to page with questions to find the answers to commonly asked questions about food preservation and safety. What is PIC Person in Charge Training?